Justin Bieber will bring his Purpose Tour to India on 10th May this year, and he will be accompanied on this pit stop by popular Norwegian music producer Alan Walker. 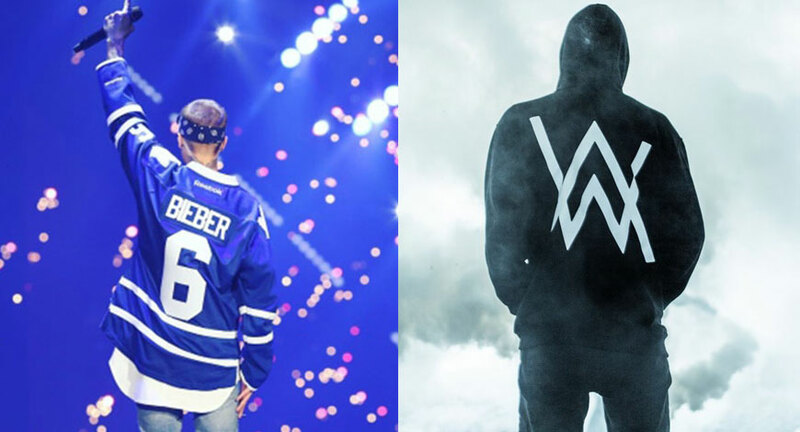 Alan Walker is one of Billboard Dance's artists to watch in 2017 who achieved a major milestone this year by joining the elite billions club on Youtube with his breakout hit Faded that received platinum certifications in over 10 countries. This is quite the feat considering there are only 52 videos that have reached this milestone, with seven of them receiving over two billion. The 19-year-old guy started making music on his laptop (2012) in his bedroom in Bergen, Norway and shot to fame after one of his songs “Fade” (which later become “Faded”) became a massive European hit. It topped the charts in ten countries and entered the Top Five in six more, becoming the most Shazam-ed song in the world.. A few of his other popular tracks include “Alone” and “Sing Me to Sleep,” were remixed by Marshmello. Just over one year since starting in March 2016, Justin Bieber’s Purpose World Tour has reportedly grossed close to $200 million. Box office counts claim more than 2.2 million tickets have been sold on 122 world tour stops. Bieber has played 10 shows so far in 2017, bringing in $40 million in total. White Fox India will be bringing the 23-year-old Canadian megastar’s Purpose World Tour to India’s DY Patil Stadium, Mumbai on 10th May 2017. Bieber’s latest jaunt is in support of his fourth album, the critically acclaimed Purpose, wherein he experimented with more exploratory electronic sounds. Apart from India, the Asia leg of the tour comprises Tel Aviv in Israel and Dubai in the United Arab Emirates. Touring in support of his fourth studio album Purpose – which debuted at #1 in over 100 countries and has sold over 8 million copies worldwide, Bieber is without a doubt one of the most successful pop stars in the world today with a recent world tour imbibing sold out dates across countries. Concert goers can book tickets at www.bookmyshow.com for the hotly anticipated event. Concert goers can look forward to a set list that will surely comprise worldwide smash hits including Where Are Ü Now, Boyfriend, Love Yourself, Company, As Long As You Love Me, What Do You Mean?, Baby, Purpose, Encore: Sorry amongst others.